DONNA CAMERON is an internationally exhibted and collected multimedia artist. Ms.Cameron's films and videos are in the permanent collection of the Museum of Modern Art, NY (MoMA) and are distributed by the MoMA Circulating Film Library. They can be viewed at the MoMA Study Center by appointment, or at Donna Cameron's channel on YouTUBE. Cameron's photography and films use a unique cinematic paper emulsion process (CPE) for which she was issued a U.S. Patent in 2001. Her moving image work is also distributed by Canyon Cinema, CA, Film-makers’ Coop, NY and Light Cone, Paris, FR. DONNA CAMERON was exhibited in the MoMA’s 20th century retrospective of art, “MoMA 2000", and in the Whitney Museum of American Art’s millennial show, “The Color of Ritual, The Color of Thought, Women in Avente-Garde Film in America” in 2000. Her art, photography and films were featured in the 51st and 52nd Venice Biennale of Art in 2005 and 2007, May-October. 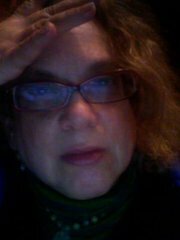 DONNA CAMERON holds an MPS in Intertelecommunications (ITP) from the Tisch School of the Arts, NYU, and a BFA in film/multimedia from the School of the Art Institute of Chicago. She studied at the Rhode Island school of Design with photographer Harry Callahan, at SAIC with filmmaker Robert Breer. and in Paris, FR with Ferdinand Herbo, founder of the Honfleur School of marine painting in Honfleur, FR. Cameron's art is anthologized in William Wees’ “Recycled Images” (1993); Cynthia Maris Dantzic’s “100 New York Photographers” (2009), Maureen Furness’ “The Animation Bible” (2008) and her monograph “Donna Cameron", Spuytenduyvil Press (2007), is available at the MoMA store and the NYU Bookstore. DONNA CAMERON IS a Teacher in the Open Arts Program at the Tisch School of the Arts, New York University,. She teaches her course "Politics of Portraiture" ©2003/©2017.She is committed to sharing her passion for the arts with future generations of artists. DONNA CAMERON exhibits her art actively in New York City, Washington, D.C. and Chicago, IL She lives and works in Brooklyn, New York and Arlington, Virginia.